Entrepreneurs are near and dear to my heart. I remember when we started our magazine company with a few dollars and a lot of determination. Starting a business is not for the faint hearted, but it is very rewarding. It requires an unwavering commitment and a lot of work. After 33 years in business, I can say it was worth it. I love what I do and am so grateful for our company. 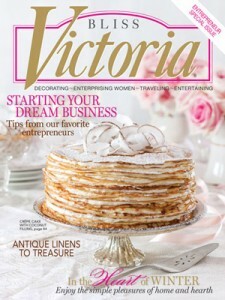 We celebrate entrepreneurs in Victoria magazine every year. 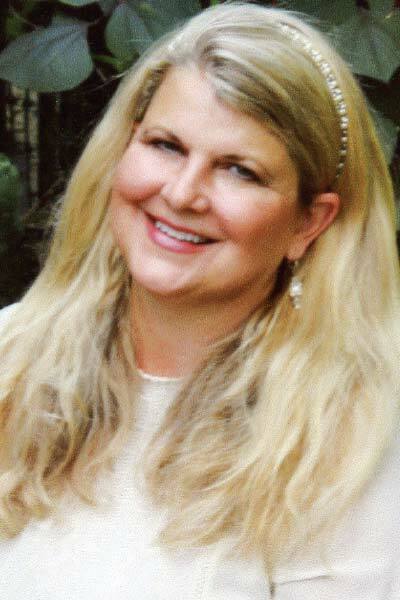 One of the entrepreneurs featured in our January/February issue is Arbie Goodfellow of Mitford, Michigan. As you know I am a shoe lady. I am excited for you to see her exquisite shoe designs for brides. 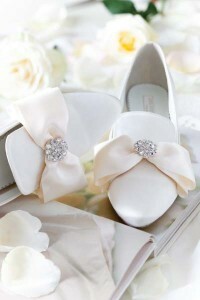 Her shoes are works of art incorporating beads, bows, and gorgeous embellishments into every pair. I know you will enjoy reading her story and celebrating with her. 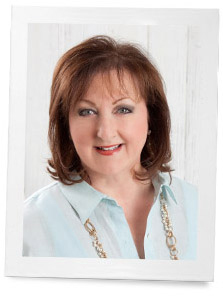 Employing artistry that for decades garnered her accolades on the ice, Arbie Goodfellow, of Milford, Michigan, glided into a new career as owner of the online bridal boutique Parisxox with the same unwavering dedication that made her a U.S. Figure Skating gold medalist. Once she turned professional, Arbie began a coaching career that spanned more than ten years. The work was arduous, with long hours passed at the rink giving individual and group instruction and on weekends guiding or judging students during competitions. Choreographing routines and bejeweling costumes utilized her talents, but travels abroad made Arbie yearn for a different lifestyle. As she strolled cobblestone streets in Europe, she recalled inspiring expeditions—climbing in the Swiss Alps, exploring storied castles, examining paintings by the old masters—and realization dawned. “Instead of composing a program of music for one of my skaters, I wanted to create something with my hands,” she explains. Incorporating a vintage brooch into a choker she fashioned for her wedding in Switzerland proved serendipitous, and soon she was producing elegant accessories for a growing list of bridal shops. 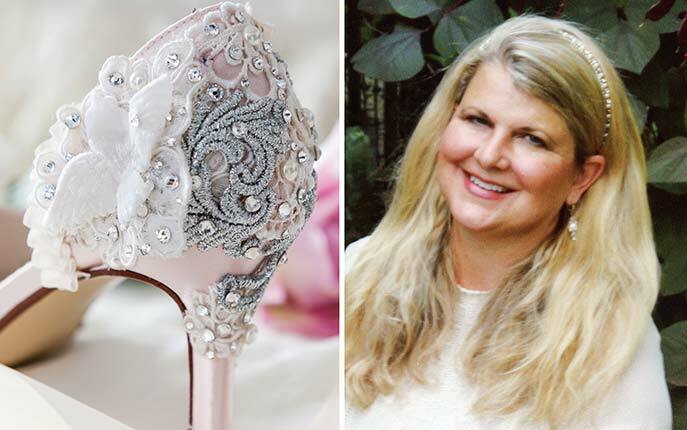 When a client asked Arbie to embellish her wedding shoes, the results were so stunning that the customer’s mother wept at the sight of them and the wife-to-be ordered a second pair for dancing. From these events, Parisxox had established its niche. Arbie designs the collections showcased on her website, ranging from demure ballerina flats to elegant d’Orsay heels. She sends sketches and fabric samples to her manufacturer, then by hand transforms the satin shoes with custom tints and shimmering accents. Since exchanging skates for bespoke slippers in 2009, the proprietress says she has relished the freedom that entrepreneurship offers. Arbie spends blissful afternoons combing antiques markets around the world in search of delicate trims, but working from home enables her to coordinate studio responsibilities with her family’s schedule. 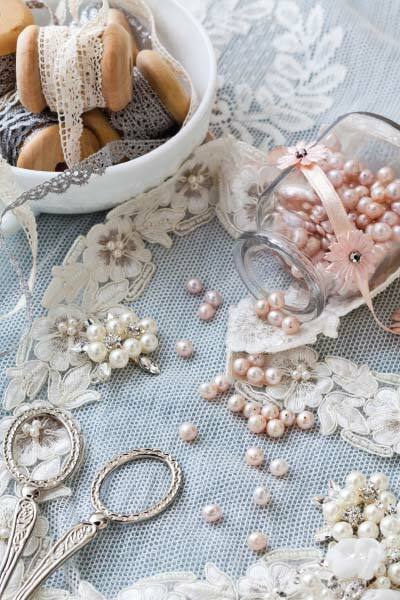 Applied to her custom-dyed line, bits of ribbon and lace combine with cultured pearls and Austrian crystals to become couture treasures—allowing each bride to walk down the aisle in splendor. If you could start a business today, what would it be with you at the helm? When I read this story I was so very impressed! Her shoes are simply divine! I love her shoes with all the beautiful details… I certainly do admire her fortitude to pursue this career… I would just love to do anything that creates beauty, whether it be designing wedding invitations or embellishing something that was plain into your own creation. I wish you all the best,Susan. I know it’s hard to take that first step but hopefully we will both find the courage! I agree with Roma. I would love to have a business, that would be tea parties in my home, by appointment, not something opened everyday, but by special arrangement. My home is not elaborate, but open and overlooks a small pond next to a pine forest and golf course. I think it could comfortably seat 20 using all the tables (dining room, Carolina room, etc.) I certainly have the dishes, as I do have a problem in that area. My husband would be supportive, but I haven’t got the nerve to try it YET. I would love to start a tea party business…where I would work on a theme and set everything up at someone’s home. That would be so much fun! Awesome story…proving again that a pair of shoes can change your life. I look forward to your special entrepreneurial issue each year and can’t wait to read this one! You are such an inspiration to me. I started publishing my own magazine in 2011 (print and digital). It’s been a huge learning experience but I absolutely love it! So much, in fact that I am getting ready to launch my second magazine within the next couple of weeks! God bless you as you continue to reach the hearts and lives of women in such a beautiful way. I love to dream up house plans, decorate them and plan the surrounding gardens. So, what would I call myself? HAPPY!!!!!! I always love reading about entrepreneurs, and Arbie’s story is thrilling. What beauty she creates. The Business of Bliss is a feature I look forward to each year! As one who is following her own bliss selling antiques, I applaud every woman who follows her dream and works 24/7 to make her own business flourish and bless others. I always love your Business of Bliss articles and am anxious to read this issue. I always dreamed of creating something beautiful that would endure for generations. In 2010 I started Swede Collection to reproduce beautiful Swedish antique furniture.